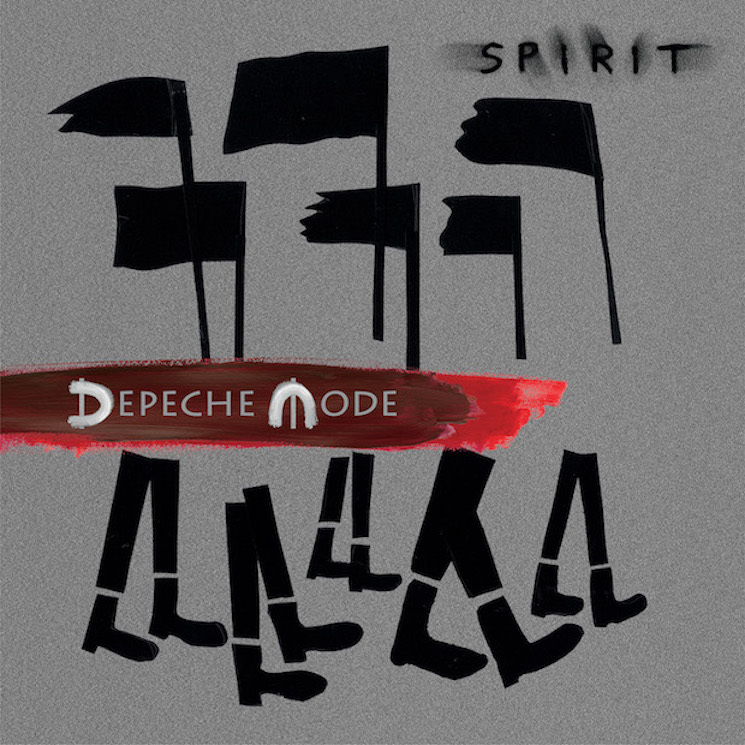 Last year, synth-pop veterans Depeche Mode revealed that they were planning to return with a new album called Spirit. Since then, there hasn't been much by way of news, but they've finally dropped more details on the release. Spirit will arrive on March 17 via Columbia. Prior to that, the album's lead single "Where's the Revolution" will drop this Friday (February 3). You can see the album's cover above. As previously revealed, the album marks Depeche Mode's first album since 2013's Delta Machine and their 14th overall. It was produced by Simian Mobile Disco's James Ford. "We're exceptionally proud of Spirit's sound and energy, and we're excited to get back on tour to share it with our fans around the world," Depeche Mode's Dave Gahan said in a statement. Depeche Mode will also embark on a European tour this spring. Peep the dates below.